In the field of traditional Oktoberfest fashion for men there is no better choice than choosing a unique pair of deerskin lederhosen. 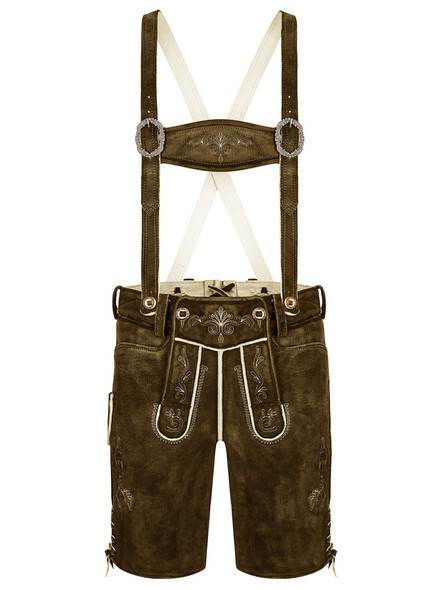 Our deer leather of highest quality feels highly comfortable and gives an extraordinary charm to the Bavarian lederhosen. 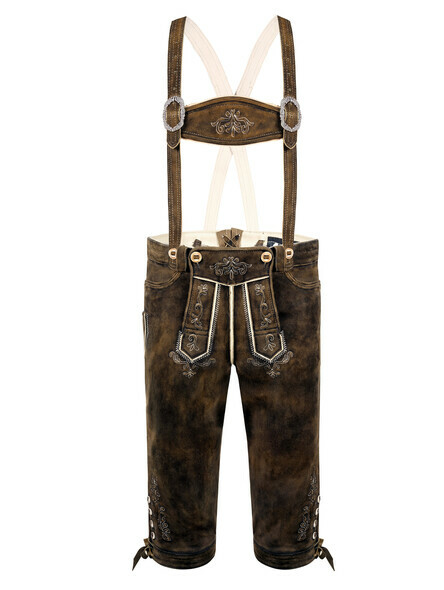 With our extremely expensive handmade production process (over several months), our men?s deerskin lederhosen are a true masterpiece. 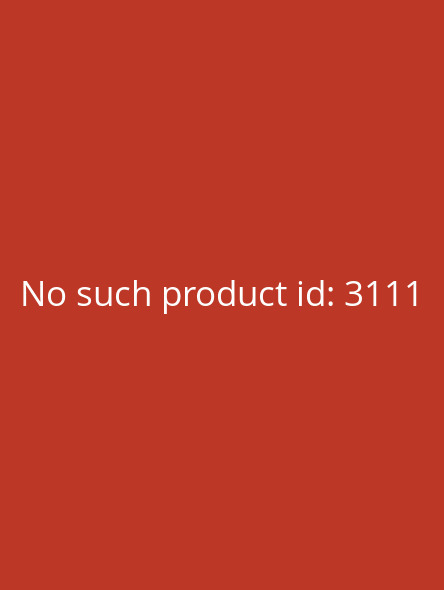 German deerskin lederhosen are the ?ultimate? 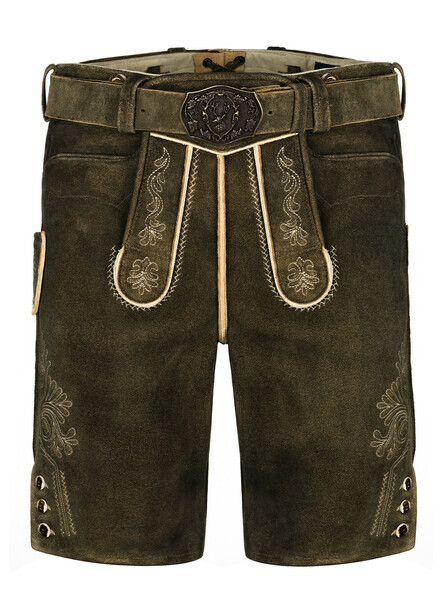 in traditional Oktoberfest apparel for men. You don't have to be an expert to know that genuine deerskin is the most expensive and high quality material available on the market. The extreme scarcity of this leather and the extremely complex, manual manufacturing process (over several months) make our chamois tanned deerskin lederhosen to absolute rarities. 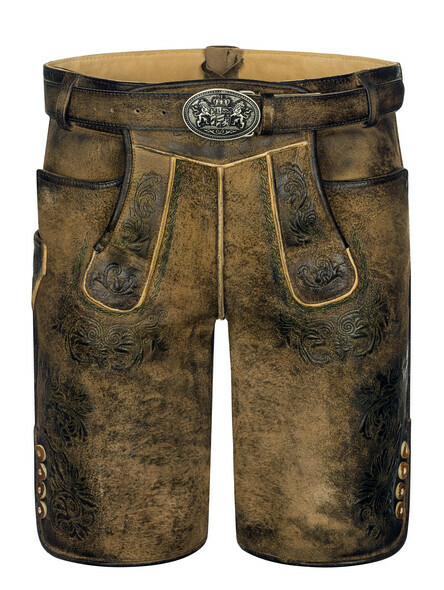 Each buckskin lederhosen are, therefore, unique and a work of art with its own individual characteristics. In addition, the deerskin leather is particularly soft, quickly adapts to the body shape and lasts a lifetime. 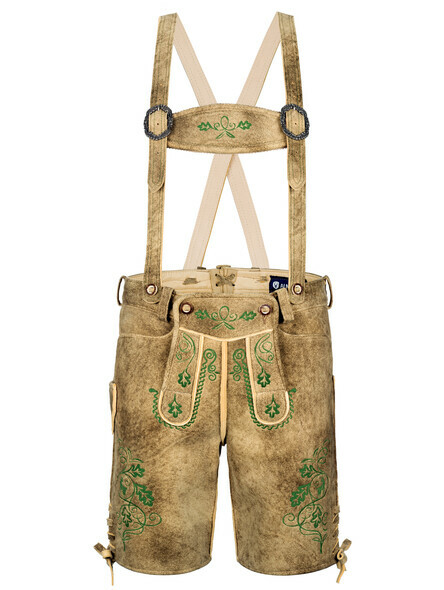 In our online-shop you can find different types of Bavarian lederhosen for you to buy. You have the choice between different, unique designs. 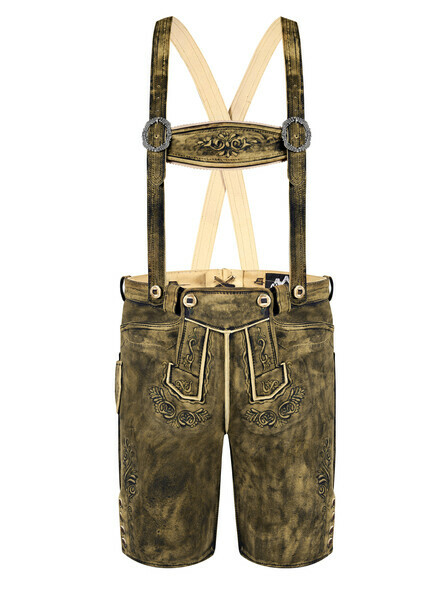 All our authentic deerskin lederhosen are definitely a real eye-catcher. The deerskin of these exclusive, short traditional leather trousers comes directly from the surrounding forests of Bavaria and Austria. Basic reference areas for deer skin are mentioned above. But some deer skins come from New Zealand. The so-called ?Euro-deer? from Bavaria and Austria lives in free nature. In contrast to the, the ?New Zealand-deer? grows up in large and locked herds. The main differences concerning the texture of the leather are due to living conditions. The European deer leather is mostly characterized by natural irregularities (e.g due to fighting with rivals) or tick bites. The ?New Zealand-deer? skin is regularly smooth and without any noticeable differences. This was the main reason why we have primarily chosen the raw material from European forests. 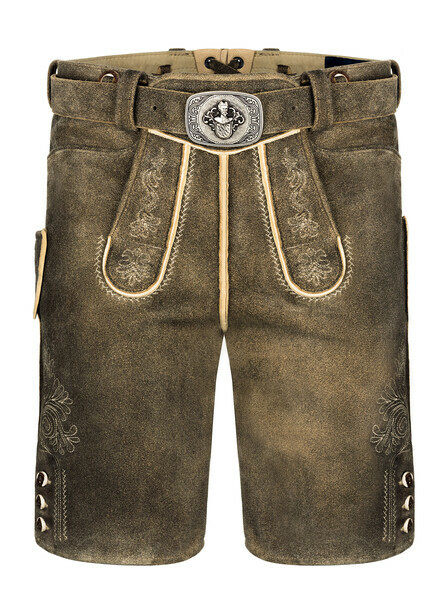 Our deerskin lederhosen should reflect individuality and a unique character - the basic idea of Bavarian traditional costumes. Small scars are more than desired and increase the value of each lederhosen. For our customers who prefer the smooth, harmonic-looking deer skin we offer our exclusive ?New Zealand? 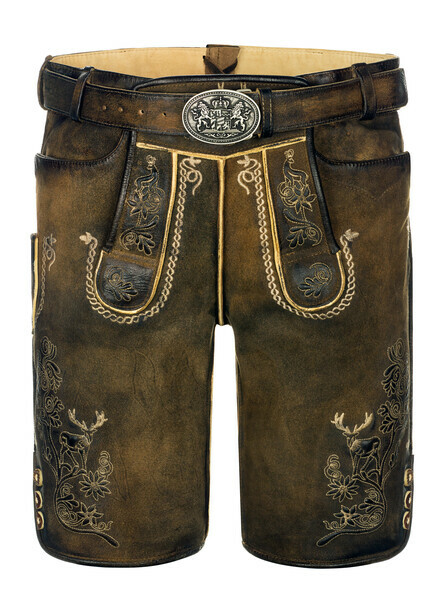 deerskin designed lederhosen. 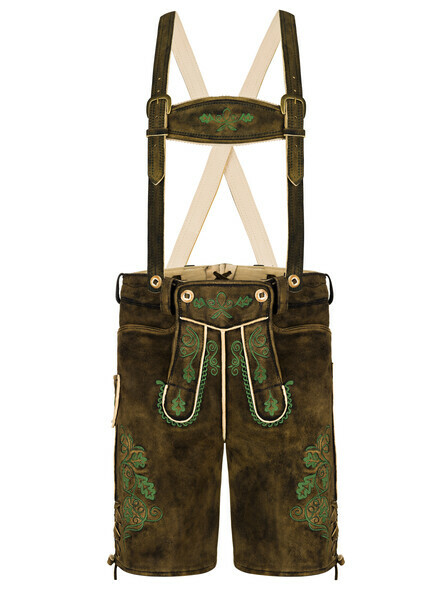 These lederhosen guarantee traditional diversity and high quality in one. After acquisition of the raw material - the most complex process starts. This technical process is called ?chamois tanning?. The chamois tanning procedure is purely natural, very expensive and uses techniques already which go back to the time around 6000 before Christ (source: Lederzentrum.de). The chamois tanning method includes a 100% natural fish oil impregnation (Don´t worry, our leather products won´t smell like fish). The process of using natural fish oil is called ?fat tanning?. 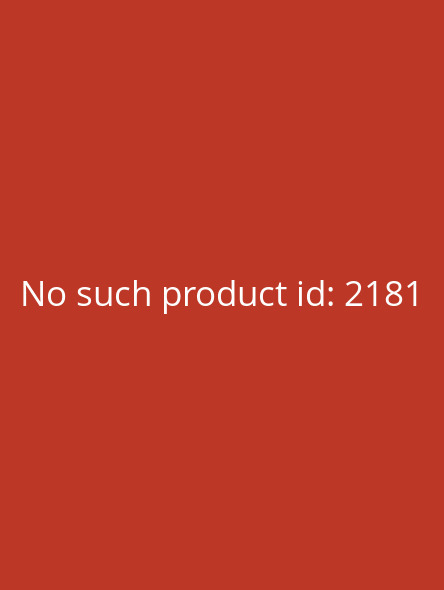 Fish oil - based on a high fat content ? sticks to the fibers and creates a smooth texture. After several long procedures as well as a final flushing ? the chamois tanned leather is ready for further processing. The time required for chamois tanning lies between 6 to 9 months. The time-consuming chamois tanning process takes place in Germany. 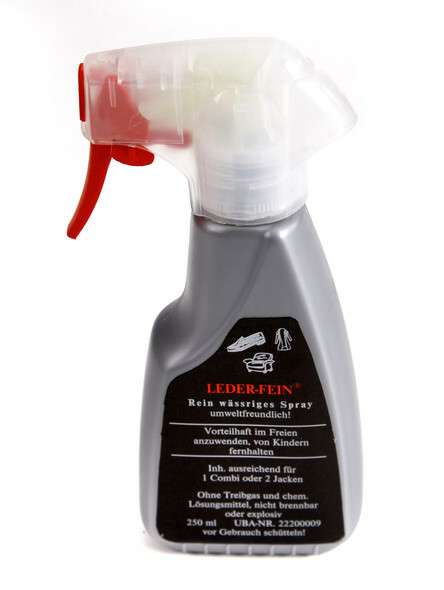 With approved recipes - tested and improved over many generations - deerskin lederhosen have high standards in quality and environmental regulations. One or the other will certainly ask themselves how the different colours of the leather can be combined with a 100% natural production method. The answer to this question is not obvious. 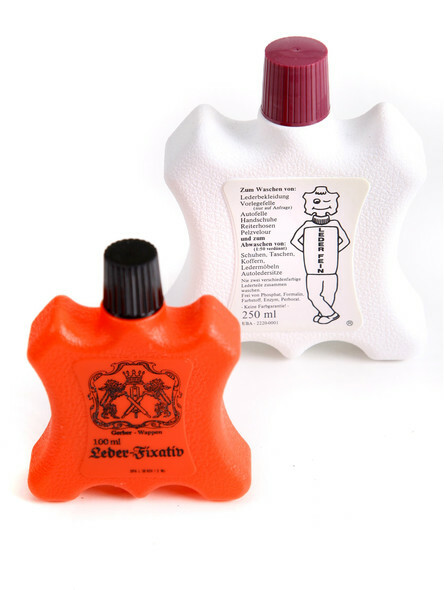 Nevertheless, we do not want to withhold it from you: The different colours of our deerskin lederhosen are achieved by the use of purely natural wood colorants. Different wood dyes thus achieve different colours on the leather. It should be noted that the wood dyes used are extremely expensive. The kilogram costs several hundred euros. Final Touch ? Making it look ?quaint? The manufacturing-process is almost done! After sewing a deerskin lederhosen, our exclusive product gets grinded, waxed and polished to the best of our possibility. 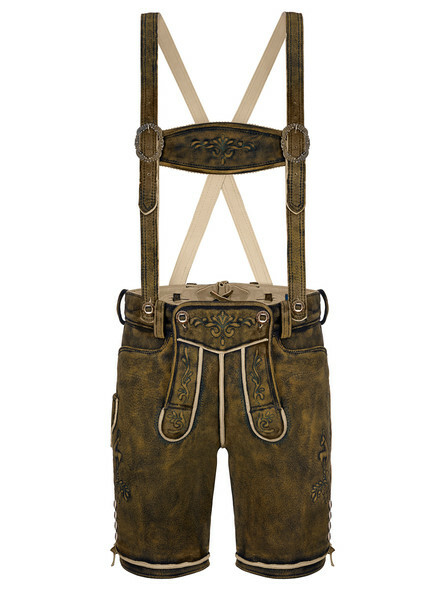 This process makes every lederhosen unique and gives it a rustic style ? it´s also called ?used-look?. This used-look is getting more and more common. At first some people will be very surprised about the prices. If you consider the entire process chain from the raw material to the finished deerskin lederhosen, our prices are quite fair. Deerskin lederhosen of this quality and price will neither be available online nor in a store below 1000?. Without our perfected online shipment processing and the omission of unnecessary middlemen as well as process steps - such a price structuring would not be possible for us. 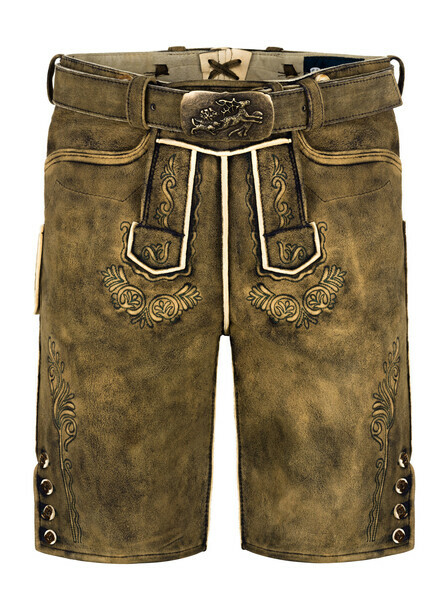 If you make a comparison to other sellers, you will soon find out that our price - based on the quality of our traditional deerskin lederhosen ? 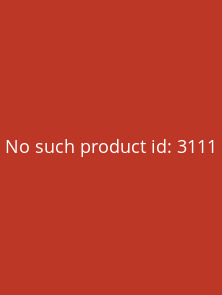 is out of any competitiveness. 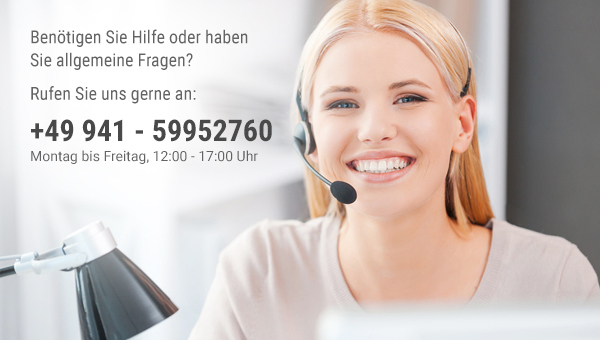 If you do have any questions or want to learn even more details about our products, don´t hesitate to contact us via phone or via contact form. We will gladly answer your questions at any time.